You don't have to be mad as a hatter to want to be the Mad Hatter for Halloween. This lovable, yet non-nonsensical character was first introduced in 1865 and has won the hearts of many literature and movie fans in the last century. Although the hatter in Alice in Wonderland is always male, there is no reason that this costume can't be worn by girls and boys alike. 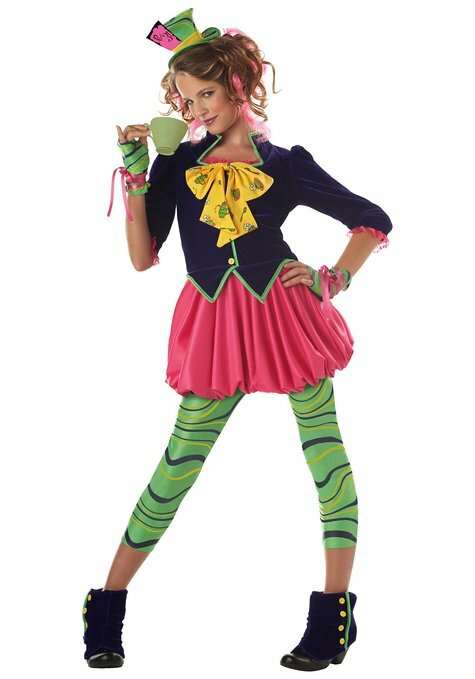 I love this Mad Hatter costume for girls because it is bright and fun. If you look closely, you can see that it covers all the Alice in Wonderland basics including numbers on the small hat and the hatter's signature necktie, but in a style that is designed for girls and fun to wear. To create the perfect Mad Hatter girls' costume, you have to use your imagination. In fact, when it comes to creating an Alice in Wonderland-inspired costume, there is no such thing as too much imagination. When you purchase this costume, you will get the dress, hat, gloves, shoe cover, leggings, and neck tie. The neck tie is actually attached to the dress. 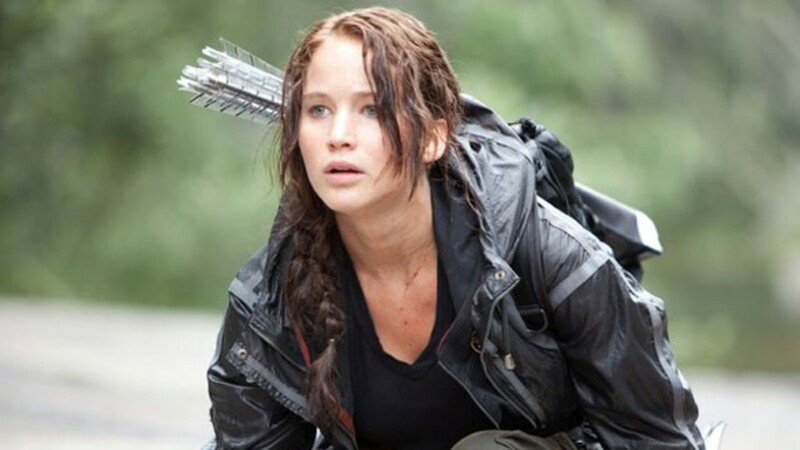 To make this costume stand out even more, you can opt to add colored hair pieces that match the dress. Personally, I would suggest green or pink. As an Alice in Wonderland fan, I must also tell you that there are some unspoken guidelines that will help you represent this foolish character properly. First, you must learn all the words to "Twinkle Twinkle, Little Bat." In addition to being able to repeat this silly song, you also need to be able to deliver it in a Mad Hatter-inspired dialogue. Next, you must be able to break into the futterwacken at any given moment. Don't worry if you can't do it as effortlessly as Johnny Depp did when he played the Mad Hatter - just make sure to make your moves as awkward, illogical, and senseless as possible. Following the tips above will help you pull off the best Mad Hatter Costume for girls imaginable. I'm very careful to choose modest clothes for my tween daughter. My concerns with her modesty apply to her Halloween costumes as well. As you probably already know, some people forget about modesty altogether when they dress up. This is my favorite Mad Hatter Costume for girls because it portrays the character and the spirit of the costume very well while keeping her covered appropriately. With the creation of Ever After High, an animated show that features the daughter and sons of fairytale characters, the Madeline "Maddie" Hatter costume is sure to impress any Mad Hatter fan. Maddie is the daughter of the Mad Hatter and one of the Rebel students at Ever After High School. Maddie is a free-spirited optimist like her father and fled Wonderland with him when the Evil Queen took over. She is looking forward to being the next Mad Hatter, but is also interested in free choice, even though she is a Rebel student. Madeline has a magical hat and a pet mouse! Thanks for stopping by my Mad Hatter Halloween Costume for Girls lens. I'd love to know you were here, so please leave me a comment below.